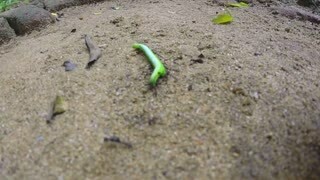 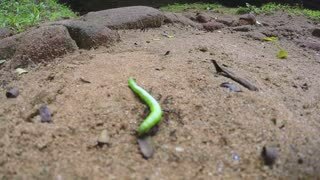 Ants eating a green caterpillar who is desperately fighting for its life. 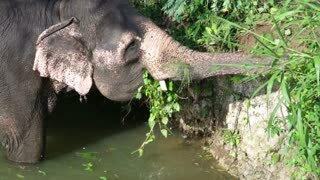 SIGIRIYA, SRI LANKA - FEBRUARY 2014: View of an elephant standing in a stream and eating plants. 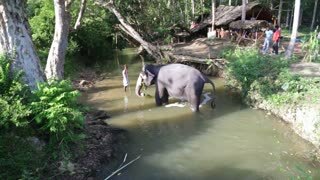 It�۪s common practice to refresh elephants after a day�۪s work in the fields. 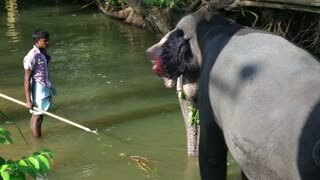 SIGIRIYA, SRI LANKA - FEBRUARY 2014: View of an elephant standing in a stream and eating plant. 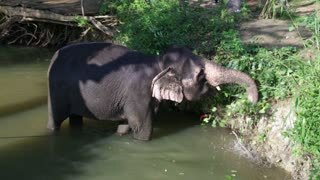 It?۪s common practice to refresh elephants after a day?۪s work in the fields.